A Turkish court has issued an arrest warrant for long-time Erdogan rival Fethullah Gulen, a US-based cleric, state media reports. The 1st Istanbul Penal Court of Peace accepted the request of Istanbul Chief Prosecutor’s Office to issue an arrest warrant for Gulen on Friday, reports Anadolu Agency.The prosecutor said Gulen should be charged with setting up or running an armed "terrorist" group. This comes in the wake of the last week’s media raids, during which over 20 suspected Gulen supporters, including chief editors and media executives, were detained. Prime Minister Ahmet Davutoglu indicated last week that Ankara may ask Interpol for a “red notice”— a document necessary for the extradition and arrest of a suspect located abroad — for Gulen. 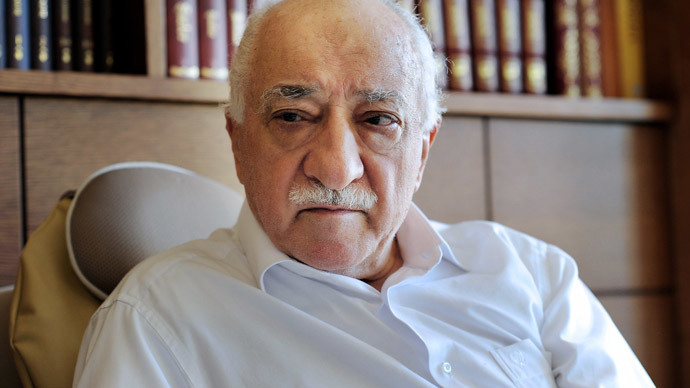 “The judiciary will do whatever is necessary in the investigation of Fethullah Gülen. Whether it is a red notice or something else. He will not be treated differently than any other Turkish citizen," Davutoglu said during a press conference, Daily Sabah reported. Earlier this year, Erdogan announced that he would be seeking Gulen’s extradition. However, according to international law, an arrest warrant and evidence against the cleric first had to be produced. Gulen has repeatedly been accused of attempting to form a “parallel state.” He was tried and found guilty in 2000, before being acquitted of all charges in 2008. Before relocating to the US in 1999, the popular cleric was one of Erdogan’s top allies. Their relationship began to deteriorate as Erdogan grew paranoid about Gulen’s growing influence, facilitated by schools, education centers, and charity organizations in over 160 countries.